Tomorrow WWE will present the Money In Bank pay-per-view it will change the overall landscape of the WWE moving forward. 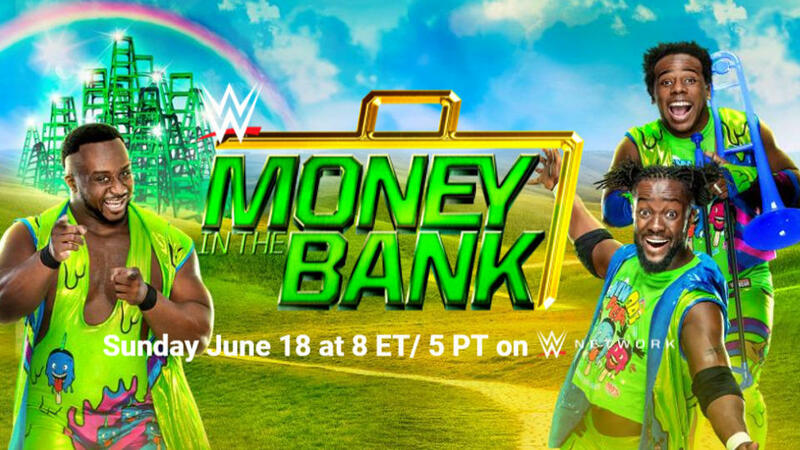 This pay-per-view will make history becoming the first Money in the Bank event to showcase two ladder matches. The Hype Bros will look to regain their momentum in the tag team division on SmackDown Live. Zack Ryder makes his return from his knee injury. He was on the shelf for six months so he will ready to go. Rawley and Ryder were crowned the new number one contenders for the SmackDown Live Tag Team Champions at one point. Unfortunately, during that time Ryder suffered an injury. Ever since Mojo Rawley won the Andre The Giant Battle Royal at WrestleMania he has fallen flat. The Hype Bros will get the win over The Colons. After the match, Ryder should turn on Rawley. The New Day will make their long-awaited return since getting drafted from RAW to SmackDown Live. They will look to return with a bang with a shot at SmackDown Live Tag Team Champions. The Usos have been on top of their game ever since they turned heels and they recaptured the tag team gold. This match should be fantastic because they have incredible chemistry together. The Usos appear on UpUpDown Xavier Woods Youtube video game channel regularly. The outcome of this match is going to be a coin flip. Usos should retain their Championships by any means necessary. However, it wouldn’t surprise me if the New Day won the SmackDown Live Tag Team Championship. Lana will look to make history at Money in the Bank pay-per-view she will make her in-ring singles debut. She will take on Naomi for the Women’s SmackDown Champion. Shane McMahon stated that Lana needs to deserve her opportunity at the Women’s Championship. Lana interfered in a Naomi match causing her a loss. This caused Naomi to snap as she wanted a match with Lana for her title. A lot of fans are sleeping on this match but it should be a good match. Even though fans haven’t seen any of Lana skills set. There are reports she has been training for months at the WWE Performance Center. The outcome of this match is difficult to call but Lana will win Women’s SmackDown Championship in the biggest upset in recent memory. The Women of SmackDown will look to make history once again. Becky Lynch, Charlotte Flair, Natalya, Tamina, and Carmella will compete in the first-ever Women’s Money in the Bank ladder match. You could make a case for any participant to win this match expect for Tamina. Carmella is the perfect scenario because everybody is a star in this match expect for Tamina and Carmella. James Ellsworth will get involved in this match and he will help his woman to victory. The promos leading up to her cashing in her briefcase would be entertaining. A win will benefit Carmella the most in her future. Randy Orton will look to get revenge on Jinder Mahal in his hometown. 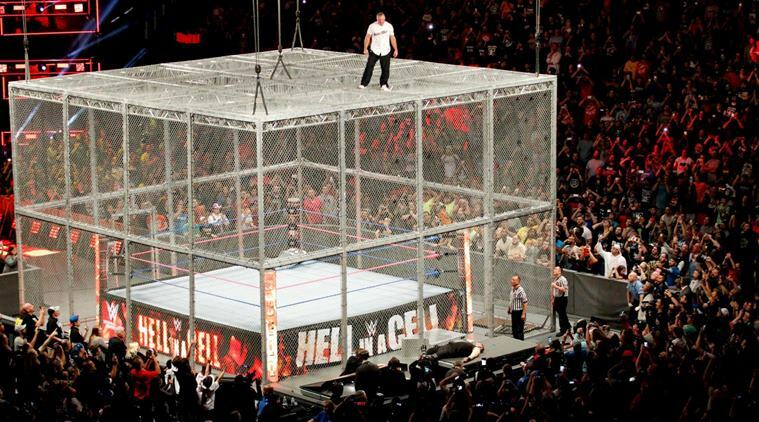 However, if you have been watching WWE for years you know that when a wrestler is in their hometown it is bad luck. Mahal shocked the world at Backlash when he won the WWE Championship over Randy Orton. Fans are highly critical of Mahal as champion so far. Due to the fact that he has had limited appearances and matches on SmackDown. On the other hand, when he does make an appearance he is a special attraction it builds up the hype. This past SmackDown Orton hit an RKO out of nowhere on Mahal on his Indian carpet inside the ring. The Modern Day Maharaja will successfully retain his WWE Championship. He will make a statement in Orton hometown. In addition proving that his win over Orton was no fluke. Six of SmackDown best wrestlers will battle it out for the Money In the Bank briefcase. The winner will receive a contract inside of the briefcase. It will guarantee a WWE Championship opportunity any time they want it within the year. The participants of this match include United States Champion Kevin Owens, AJ Styles, Baron Corbin, Sami Zayn, Dolph Ziggler and Shinsuke Nakamura.Dolph Ziggler is the only participant in this match to win the Money in the Bank briefcase. Ziggler achieved this back in 2012 so clearly, he will have an advantage going into this contest. Baron Corbin is my pick to walk away with the Money in the Bank briefcase. This win would be massive for Corbin overall career. This will be a breakthrough moment for Corbin to prove he is a main event player.